I love living here along the gulf coast, I really do, at least during citrus season. Feast your eyes on these lovely blood oranges from the co-op this week!!! While I don't particularly care for the name "blood orange" (why can't we call it a sangria orange instead? Same meaning, such a lovelier name, isn't it?) At any rate, this bunch are particularly tasty. Their typical raspberry flavor has actually spilled over into a cherry flavor. So amazing. And look at the color of their skin! Just gorgeous. 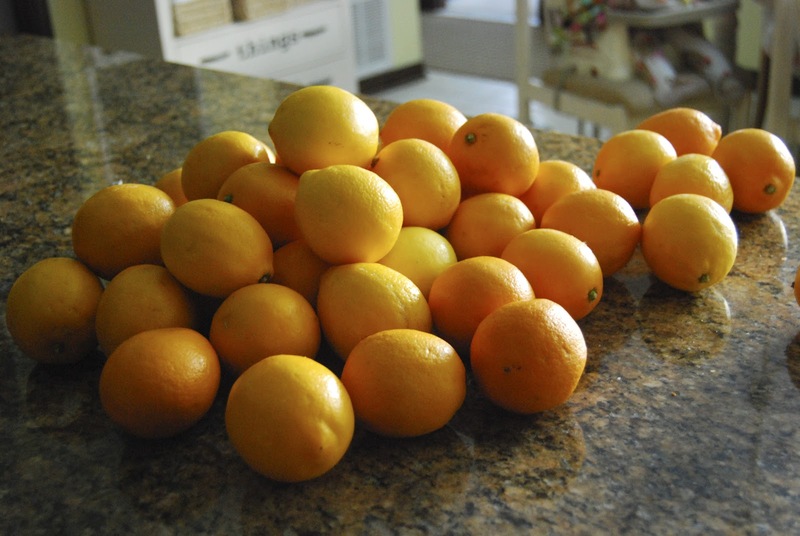 And here's the pile of Meyer lemons I got this week, too. 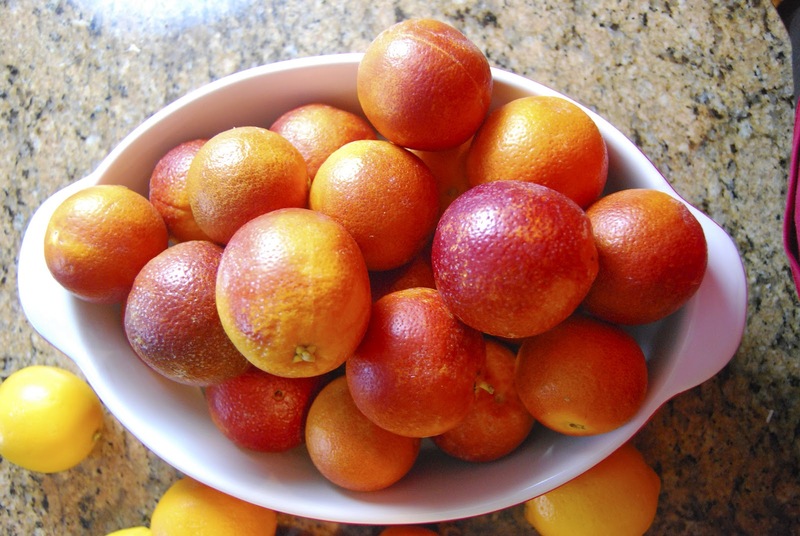 Did you know Meyer lemons are a cross between a Mandarin orange and Eureka lemon? That's why their skins are thinner and the flesh a bit sweeter. All I can say is yum. Now I have to figure out what to do with all of this gorgeous citrus! I was thinking of a orange marmalade (can you imagine the color!?) and some more preserved lemons. Any other suggestions or ideas?